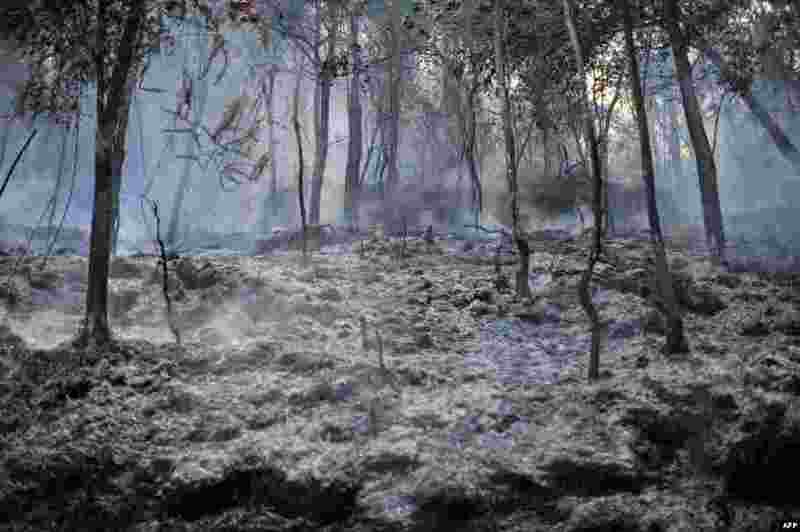 1 Burnt bushes smolder after a fire in Taman Bukit Melawati park in Kuala Lumpur, Malaysia. 2 Interior Ministry members are on fire, caused by molotov cocktails hurled by anti-government protesters, as they stand guard during clashes in Kyiv. 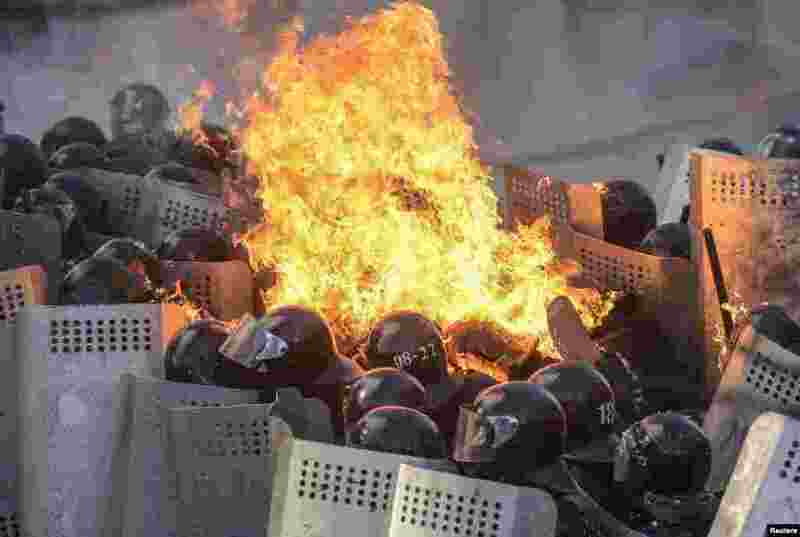 Several thousand anti-government protesters clashed with police near Ukraine's parliament, torching vehicles and hurling stones in the worst violence to rock the capital in more than three weeks. 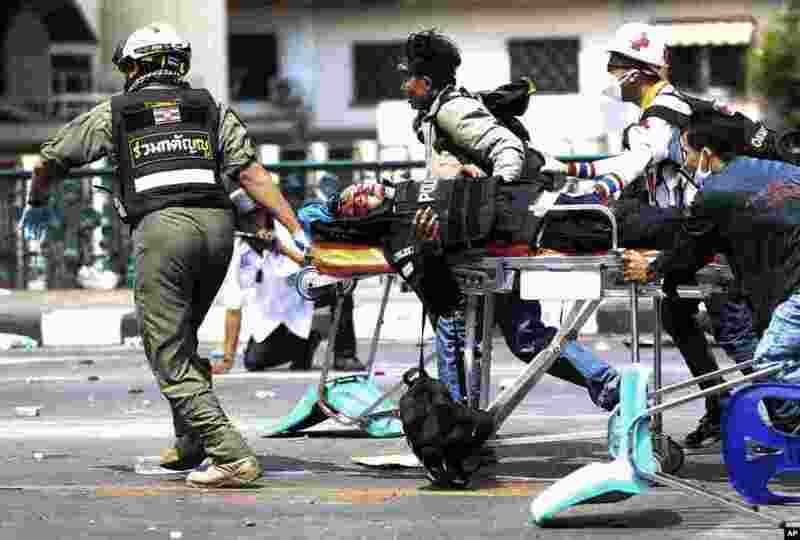 3 Charity workers push an injured Thai policeman on a stretcher after an explosion during a clash between policemen and anti-government protesters in Bangkok, Thailand. 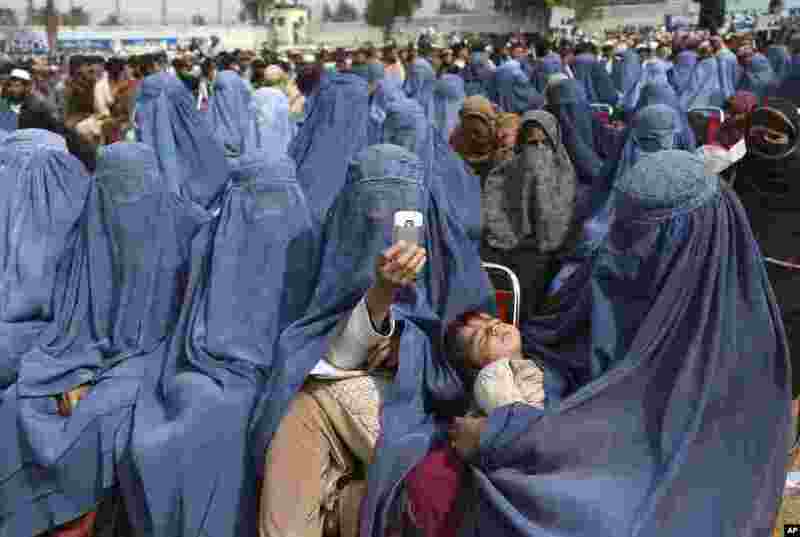 4 Supporters of Afghan presidential candidate Abdullah Abdullah listen to his speech during a campaign rally in Jalalabad.